Once we ordered the popcorn cart, the logical thing to think of next was popcorn bags. I had such a hard time finding just the right popcorn bags for JD’s party, some were to big, others were to small, I couldn't find any carnival themed bags I liked and I definitely didn't find any bags with a monkey theme, so I kinda just gave up; that’s until Mari suggested, I make them myself! So, I took Mari’s suggestion and plan on making the popcorn bags myself and I’m so excited because I can personalize them anyway I like! 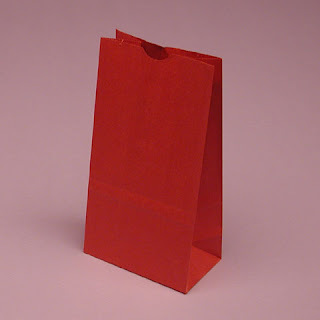 I ordered these bright red bags for JD's party! and a few other little projects too! It’s amazing to see how quickly JD is learning to do things on his own. He’s cruising (walking from one piece of furniture to the other) around the house, he’s crawling faster than I can keep up with, he’s eating his snacks and anything else you put in front of him on his own (he no longer wants to be fed, which makes me a little sad) and now he has figured out how to entertain himself and the rest of us, all at the same time! Here he is this past weekend at Farmers Market, initiating a game of peek-a-boo with his auntie Gaby. JD’s Library is definitely a work in progress, but it still doesn’t stop the books from pouring in. 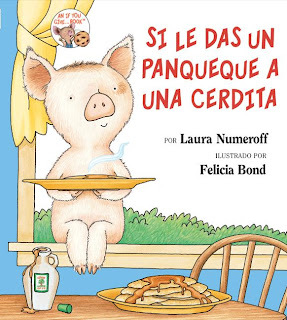 His latest book was given to him by his Nina Angie and it happens to be one of my favorite’s too, Si Le Das Un Panqueque A Una Cerdita (If You Give A Pig a Pancake), by Laura Numeroff. I own the book in English but I had no idea it was also published in Spanish, this is such a great way to encourage bilingual children. 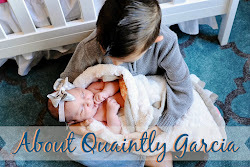 JD has started saying a few words lately (some in Spanish too) and with the help of his grandparents, who only speak Spanish to him and great books like, Si Le Das Un Panqueque A Una Cerdita, he will be a bilingual baby in no time! This Sunday while visiting The Original Farmers Market, we stopped by Monsieur Marcel Gourmet Market, I love this shop and I always make an effort to stop by for their delicious French baguette, they have so many exotic and unique products, it’s truly a cook’s delight. As usual everyone in the shop was really friendly and JD made a few new friends and even managed to come out of the shop with a free Paulette Macaron (macaroon). 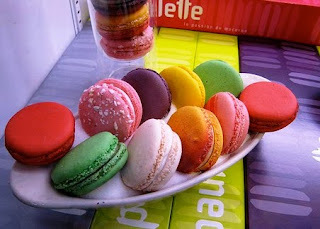 The macaron was delicious, not that JD shared more than one small bite with me and then devoured it (he’s a Garcia Foodie already), so now we must go back and try them all! That crumb on his chin was all that was left! What can be better than a Caprese Salad? A bite sized Caprese salad wrapped in prosciutto! I saw this recipe in Fine Living Magazine and I had to try it, I can not believe I never thought of this myself, I love Caprese salad and I always have prosciutto in the fridge, this pairing was just incredible! One of the things I hadn’t put much thought into until recently (since we finalized the menu for JD’s party) was, what we're going to serve all the yummy food on. Well, this weekend while taking a stroll with JD and the Garcia Foodies at The Grove and Farmers Market, we stopped by my favorite cooking supply store, Sur La Table and we came across these really cute fast food baskets and the decision was made right then and there! Although I love Sur La Table, the trays were about $1.50 each, which is pricey when you’re having a big party; but one thing I am definitely a pro at, is online shopping and I found them from an online wholesale company for about $0.40 each, needless to say at that price I ordered them on the spot. I thought this picture was perfect, since sliders are one of the items on the menu for JD’s 1st Birthday Party! 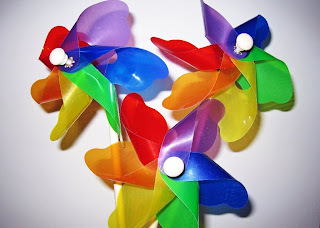 TPPM: Buckets, Pinwheels and Monkeys! Oh, my! I had such a fabulous day today, thanks to my hairdresser, manicurist and above all my mom for watching JD and my amazing hubby who insisted I take a "Me" day! Well, my last stop on this wonderful day before heading home was Target (of course) and I have to admit I've had the best of luck this week finding party supplies for JD's 1st birthday party and today was no exception, so I just had to share! 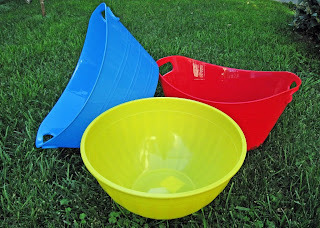 I'm going to use these for drinks, snacks and a few other ideas I have in mind! I'm so glad I found these, now there's one less thing I have to do myself, well maybe! 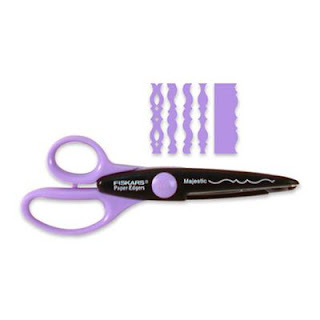 These were just too cute not to buy and I'm already coming up with a few uses for them! I do not consider myself a fashionable person, I pretty much just make sure things match and above all fit, but one article of clothing I do know about, are jeans. About a month ago while looking for a new pair of jeans to add to my collection I came across a pair of 528 Levis at Macys and was so impressed by the fit; they we're perfect in every way, except they were one size too small, but I figured I’d eventually find them, boy was I wrong! These jeans were so hard to find (in my size) and by the rave reviews curvy women all over are giving them, I wasn’t surprised. Well, thanks to Amazon I found these perfect jeans on sale with free shipping (denim always ships free at Amazon.com) and they arrived today. I love these jeans, I'm thinking about wearing them everyday. So if you’re a curvy girl looking for a great fitting pair of jeans, these are definitely it. One of the items on my 2010 to-do list is to learn new cooking techniques and try to create recipes that I would never have the courage to create on my own. So, this brings me to my latest culinary adventure, I have joined The Daring Kitchen and I’m officially a Daring Cook (after more than a month of waiting to be approved). For those of you who may not have heard of The Daring Kitchen please click here for more information. But, in a nut shell The Daring Kitchen is the online home of The Daring Bakers and The Daring Cooks, both groups create one recipe each month that is given by a monthly host. We all create the same exact recipe and then post about it on our personal blog on the designated date. I just received my first Daring Cook challenge, which I will reveal in mid March and I’m really excited. 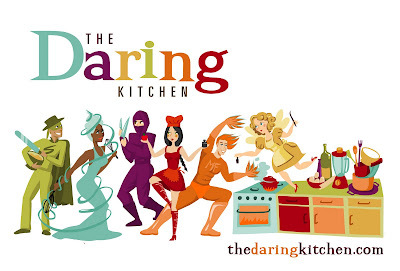 I will be adding The Daring Cook Challenge as an official monthly post on my blog, so please stay tuned and wish me luck! I love eBay! It’s a great place to find things you need, that you’re having trouble finding anywhere else, or if you’re looking for a bargain; or in my case, things I do not need, that I find at a bargain and want. About a week ago I bid on a pair of really cute olive/camouflage toddler Chucks for JD and completely forgot I had bid on them. 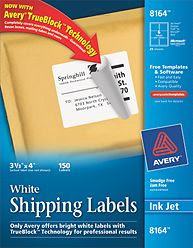 Today I received that well-known email “You won this item on eBay” and I was pleasantly surprised, no one else had bid on them, so I won them for the asking price of $9.99. If you’re looking for something you need or just want, try eBay, you may be pleasantly surprised too! I can’t believe JD is officially 9 months old as of today and lately with all the packages (supplies) that have been arriving for JD’s birthday party, we have a daily reminder that his 1st birthday is just around the corner. 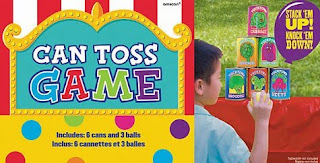 Last night (UPS always runs late in our neck of the woods) we received a few games that I thought would be cute for the smaller kids, these games will give them a chance to win prizes (although every kid will be a winner at JD’s party), which is the best part of visiting a carnival, aside from the food! 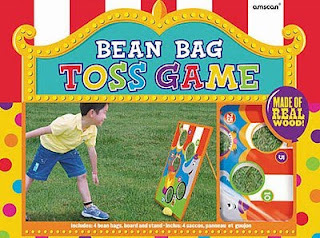 I found the games below on eBay, for half the price of most online party stores; now I just have to hide them from JD, because he thinks everything is a new toy for him! 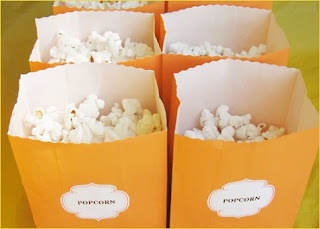 One of my favorite ideas for JD’s 1st birthday party is this Nostalgia Old Fashioned Movie Time Popcorn Cart . Although you can rent similar, smaller and larger carts at any local party rental company, we decided that we would purchase a 4 foot (kid sized) cart for JD’s party. Not only is this popcorn cart perfect for parties, but it’s also great for movie nights and get-togethers and renting one wasn't that much cheaper than buying one, which was our reason for purchasing it. This 48" tall vendor-style popcorn cart will be the hit of every party. It pops up to two quarts of hot, fresh kettle cooked popcorn per batch. Providing a vintage look and feel, reminiscent of silent movie houses and carnivals circa-early 1900's, the Old Fashioned Movie Time Popcorn Cart is designed for home use. It features a large, stainless-steel kettle with a built-in stirring system and kernel catcher to keep out the unpopped kernels. There is a compartment in the base of the unit to store supplies, making it easy to keep the cart well-stocked and organized. 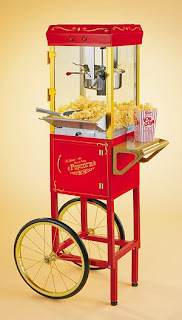 The Old Fashioned Movie Time Popcorn Cart has an easy-to-clean design and is approved for commercial use. Its accessible height makes serving a snap. This weekend we decided to combine our Valentines celebration with our yearly trip to Big Bear. I love cold weather and I’m completely fascinated with snow (I was born in New York, during a snow storm). A few years ago the hubby and I went skiing in Big Bear and we made a promise to visit every year and so far we have, even last year while I was 5 months pregnant! So, this year was JD’s first visit (second if you count his visit while in mommy’s belly) to Big Bear and although he didn’t seem too interested in the snow, unless it was in his mouth, he still had a great time (I can’t wait until he is old enough to go skiing with mommy and daddy). We had a chance to meet up with the Lopez Family and that definitely added to the fun, watching the excitement on our kid’s faces at the Moonridge Zoo and listening to them giggle as they threw snowballs at us, made this Valentine’s Day, a day full of fun, laughter and love, I couldn’t have ask for anything more! my Valentines gift, the key to my hubby's heart! About a month ago I blogged about Infant and Child CPR Classes at TMMC and I’m proud to say that as of today, my Mom, my sister-in-law Mari (JD’s sitters) and myself are all Infant/Child CPR certified. Obviously, I hope we never have to use these skills on JD or any other child; but if we do, I’m confident in saying, we will be ready; with 25 dollars and 3 hours of your time, you can be ready too! Valentine’s Day is this Sunday and I have the most decadent pasta recipe for anyone looking to make a Valentines meal that will leave their loved ones begging for more. This Olive Garden dish is my absolute favorite pasta dish ever, but it’s also the priciest dish on their menu; so when I came across this recipe last year (while pregnant of course) I had to try to make it myself and let’s just say I haven’t ordered it since. This recipe has many ingredients and directions, but I assure you, it is worth the time and effort! Whisk extra virgin olive oil together with hot water, seasoning and chopped garlic. Add the chicken strips and shrimp. Cover and refrigerate for at least 30 minutes. bits. Sauté for 5 minutes, stirring frequently. Add flour, Parmesan cheese, heavy cream, milk, pepper and salt. Use a wire whisk to whip all ingredients together. Bring to a boil. Reduce heat and allow to simmer. Combine Romano, Parmesan, mozzarella, panko, chopped garlic, melted butter and chopped parsley in a mixing bowl. Stir until well blended. Set aside. Preheat large skillet, add chicken and shrimp to pan, add red peppers. Cook for 3 minutes or until cooked on both sides and internal temperatures reach 165ºF for chicken and 155ºF for shrimp. Add sauce, (from above) stir until well blended. 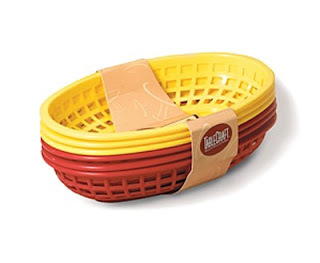 Place hot, precooked pasta on a lager serving platter. Top with chicken, shrimp and sauce. 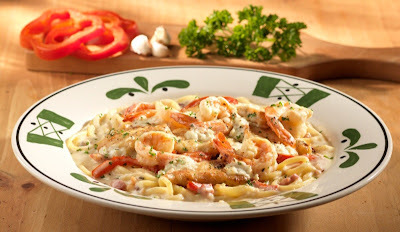 Evenly distribute topping over top of chicken and shrimp. Bake for 15 minutes or until top is golden brown (or place in broiler until top is golden brown). Serve immediately and enjoy. By now you all know how much I love HomeGoods and once again they have surprised me with their low prices and great finds. While shopping for something completely unrelated, I came across this set of Chunky Board Books by PK Press and I just had to buy them for JD, he absolutely loves books. 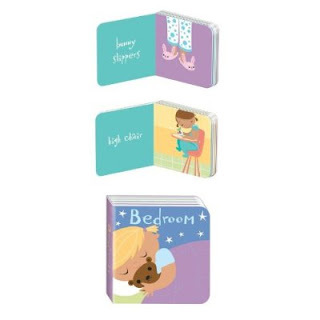 These books are sturdy and the ideal size (3 x 3 x 1 inches) for little hands, their also the perfect size for carrying in a diaper bag or purse. 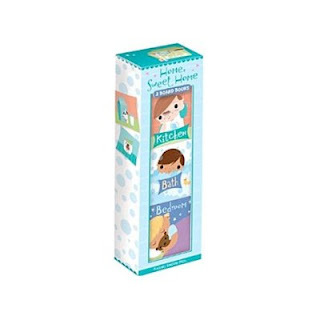 Each set includes three 24-page board books that explore simple concepts for easy teaching. With beautiful illustrations and minimal text, each book creates a charming way to engage a young child in learning about the world. Parents and children will enjoy reading these books together. For ages 0 to 4 years. On this blustery Saturday, JD sported his new winter boots to grandma and grandpa’s house; he really seemed to like wearing them and now that he’s trying to walk, we want him to get used to wearing shoes on a daily basis, instead of eating them! So here he is (resembling a lumberjack), showing off his new winter boots. For JD’s 1st birthday party the hubby and I have definitely agreed on cupcakes (I’ve had an obsession with cupcakes for a few years now, especially the ones from Torrance Bakery), so now I just need to decide on which cupcake accesorries I like more (I may just get them both); but we also want JD to have his own 1st birthday cake and I’ve come across some really cute ideas. 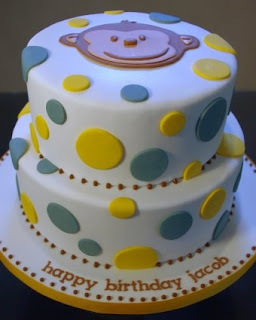 Here are a few cakes that really caught my attention and I’m thinking of combining different elements from each one into one little cute and yummy cake for JD! I love the number 1 and the letters on this cake! 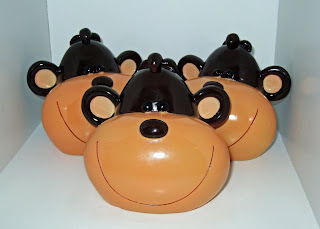 I love the monkey face on this cake! 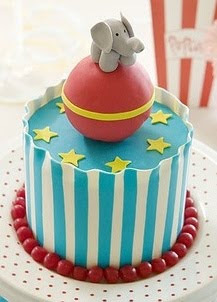 This cake is so adorable! Gregory Maguire is a genius!